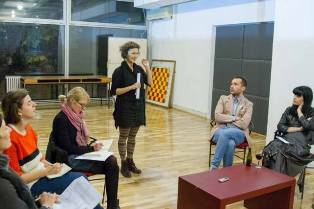 The idea of this game emerged from the text The Festival as a “Microphysics of Power” (Foucault) in the Region of the former Yugoslavia by Ivana Vaseva, Elena Veljanovska and Biljana Tanurovska Kjulavkovski, made in the frames of by working group Terms (Skopje) as part of the project Deschooling Classroom in 2012. In this text, the change/ transformation of the notion, the structure, and the meaning of festivals is overviewed as well as the contemporary understanding of it in the context of the independent countries that once were part of a big federation. What is the role of art criticism in a global environment? What new approaches can we suggest? And what methodologies do we need to develop, to deal with the diversities of expression and the complexities of the contemporary art world? We believe it is necessary to look again at crucial issues, such as the relationship between the art critic and curator, the art market and art institutions, the audience and the artist, and art and society. All these factors are interdependent and have totally transformed the conditions for making and exhibiting art, and for communicating it to a public. Art criticism’s crisis of identity and difficulty with value judgment affects the way that we have come to think about its role and function. We need to review some of the artistic, economic, social and technological factors that have contributed to this condition. 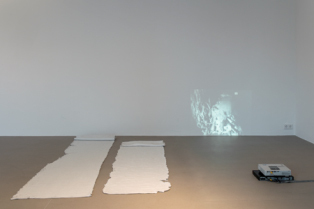 Spinning on an Axis - exhibition curated by Basak Senova & Stephane Ackermann with works by Yane Calovski & Benji Boyadgian, opened at Thursday, October 2, 2014–Saturday, November 22, 2014.